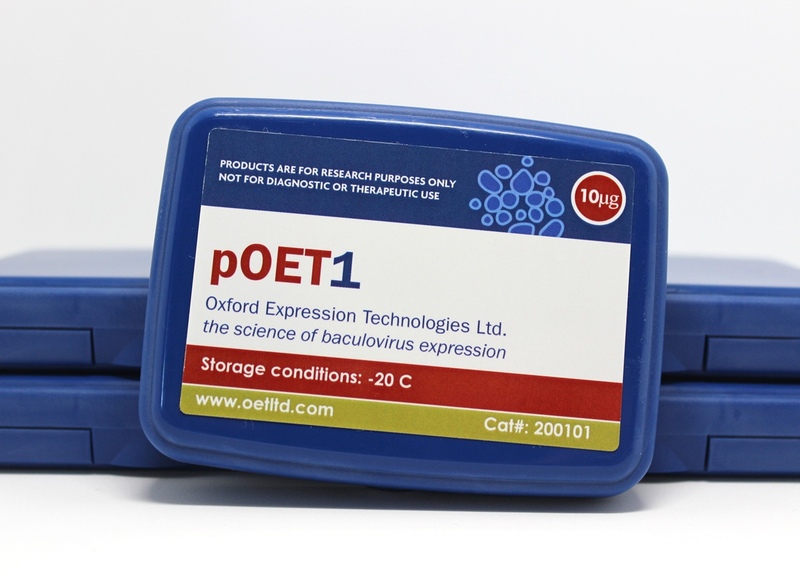 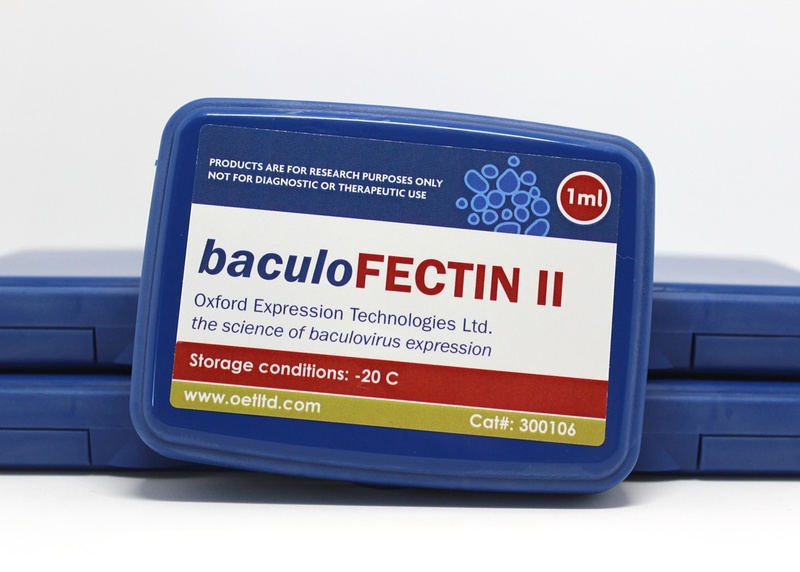 OET offers a comprehensive range of baculovirus recombinant protein expression products to support successful gene expression and protein production in insect or mammalian cells, either through using the flashBAC™ or linear DNA BacPAK6 systems. 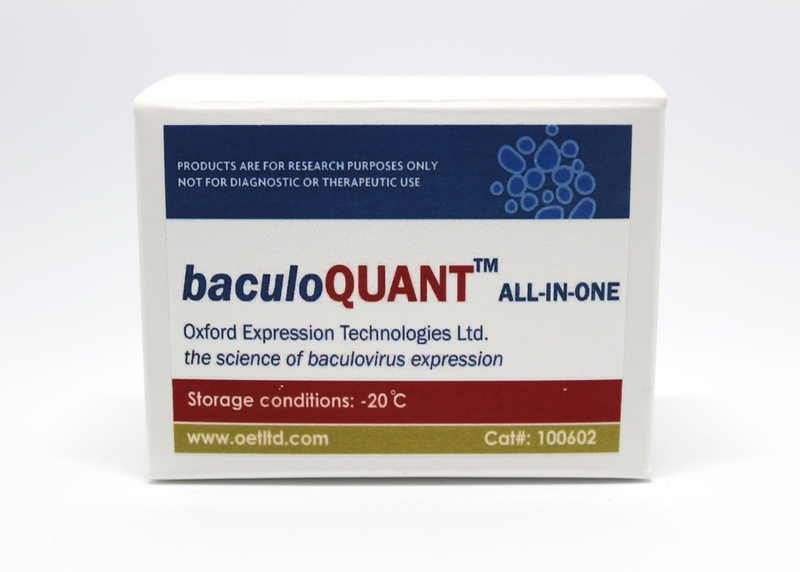 In addition to this, we also offer virus titration kits, transfection reagents, sequencing primers and our starter package baculoCOMPLETE which contains everything needed to begin recombinant protein production. 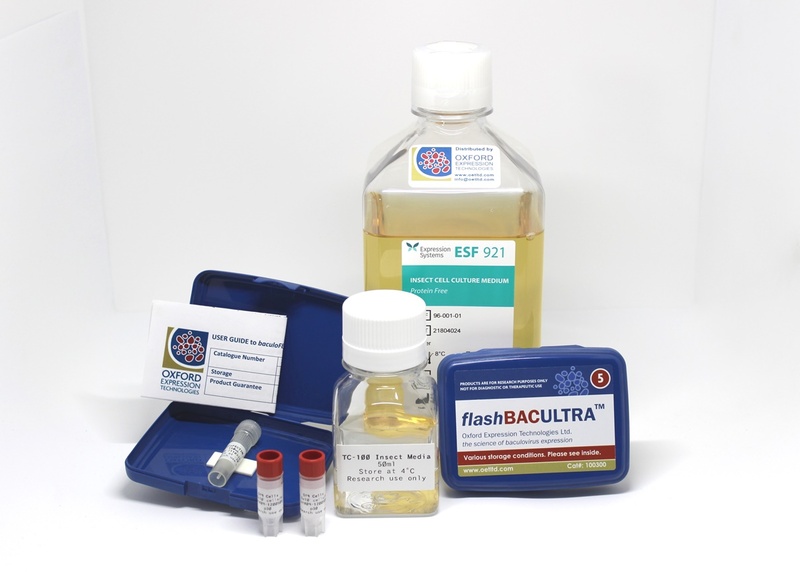 The flashBAC™ expression system utilises DNA from the baculovirus genome that has been genetically optimized to function as a recombinant protein expression vector. 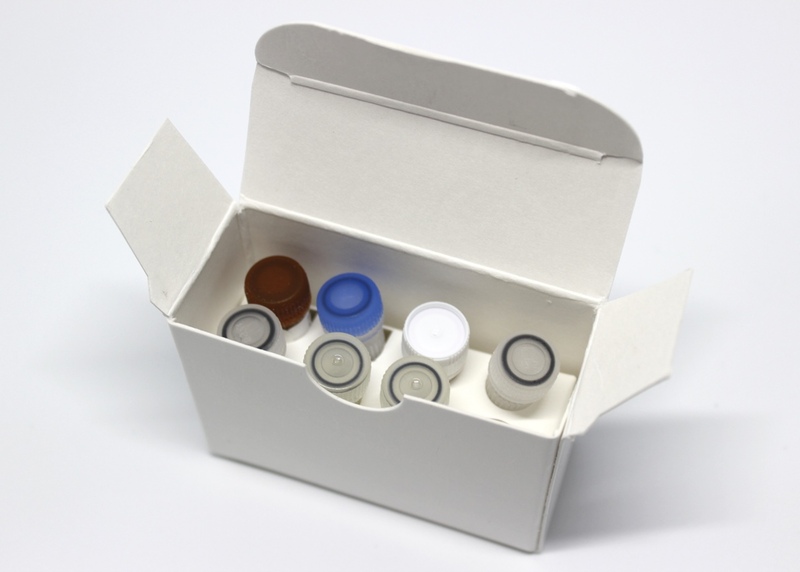 The system offers high yields of quality protein, is easy to use and is also back compatible with most transfer vectors based on homologous recombination. 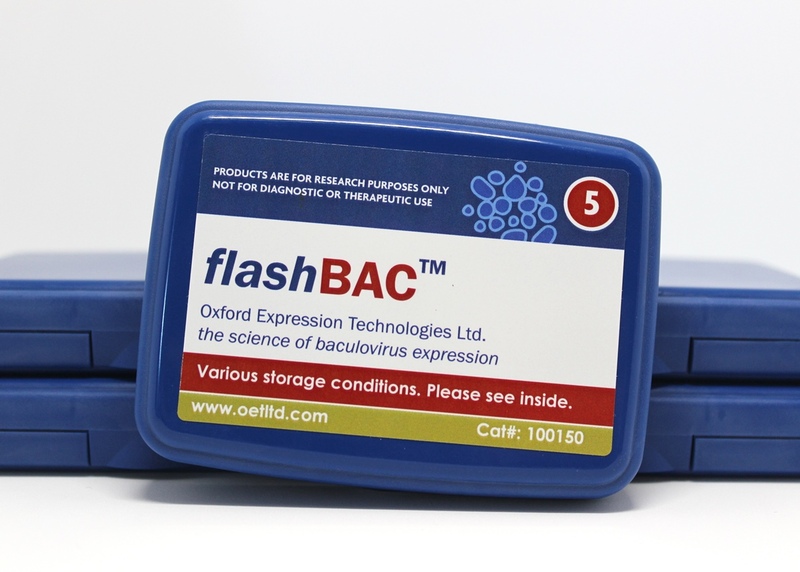 In this way the flashBAC™ system has become the expression of choice for those needing optimal protein expression in insect cells, and increasingly in mammalian cells via the BacMAM system. 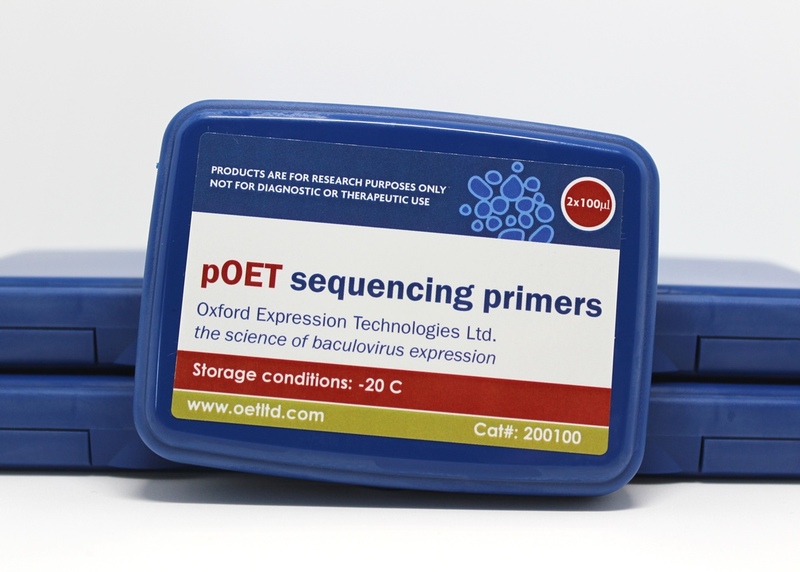 The genetic modifications not only prevent parental virus from replicating but also optimise the expression of difficult to express proteins.